Send short stories for First Friday! Are you polishing your 500-word fictional piece about birds, birders or birding? I look forward to receiving your creative entries for the March edition of First Friday. The winner receives the choice of two recently published books from the WildBird office. The deadline is 5 p.m. PST today. The penguins picked up a golden statue Sunday at the 79th annual Academy Awards. "Happy Feet" won the top honor in the Best Animated Feature Film of the Year category. The other nominees were "Cars" and "Monster House." You can read a behind-the-scenes look at the making of the movie in the January/February 2007 issue of WildBird (page 6) or a text-only version here. You can watch the film about Mumble, the tap-dancing Emperor Penguin, at home on DVD after March 27. 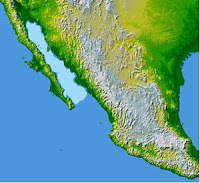 American Bird Conservancy and its Mexican partner, Pronatura Noreste, recently coordinated the purchase of 865 acres of coastal wetlands in Bahia Santa Maria, Mexico. Mitsubishi International Corporation Foundation made it possible by donating $206,000. That donation paved the way for $238,000 via the North American Wetlands Conservation Act. That funding will allow Pronatura Noreste to restore the tidal flow to the wetlands, currently disrupted by dikes created for a now-defunct shrimp farm. On the Gulf of California (the paler blue area), Bahia Santa Maria -- between the cities Los Mochis and Culiacan -- hosts various wintering wetland-dependent birds, including 25 percent of all Western Sandpipers. Other visitors include Blue-footed Booby, Laughing Gull, Heermann’s Gull, Royal and Least Terns, Marbled Godwits, Long-billed Curlew and Stilt Sandpipers. The Interior Department recently announced that the U.S. Fish & Wildlife Service approved comprehensive conservation plans for the 56 states and territories. This marks the first time that we have "a nationwide blueprint of actions to conserve imperiled species and prevent them from becoming threatened or endangered." The action plans allow state and territorial fish and wildlife agencies to receive more grants under the State Wildlife Grant program signed by President Bush in 2001. The agencies worked with biologist, conservationists, landowners and the general public to create the plans. Each plan includes details about low and declining populations and the habitats that they need, identifies problems for these populations as well as research and survey efforts to improve conservation, and states priorities. The plans will be updated at least once every 10 years. To see the plan for your state, click here. DURHAM, N.H. -- Pigeons and humans use similar visual cues to identify objects, a finding that could have promising implications in the development of novel technologies, according to new research conducted by a University of New Hampshire professor. Brett Gibson, an assistant professor of psychology who studies animal behavior, details his latest research in the journal article, “Non-accidental properties underlie shape recognition in mammalian and non-mammalian vision,” published [Wednesday] in Current Biology. 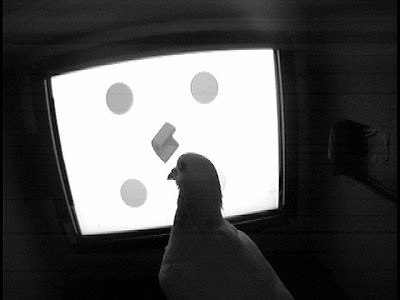 Gibson and his colleagues found that humans and pigeons, which have different visual systems, have evolved to use similar techniques and information to recognize objects. “Understanding how avian visual systems solve problems that require considerable computational prowess may lead to future technological advances, such as small visual prosthetics for the visually impaired, in the same way that understanding visual processing in honeybees has led to the development of flying robots and unmanned helicopters,” the researchers say. Gibson's also studied navigation and memory in birds. He's currently investigating how Clark’s Nutcracker uses different types of spatial information to find food caches during winter. Last Saturday, the oldest "reproductively active" California Condor at Oregon Zoo laid the first egg of the breeding season. Tama laid the egg at the zoo's Jonsson Center for Wildlife Conservation, and she will sit on it for two weeks before zoo staff remove and candle it to see if it's developing normally. If all is well, the egg will be incubated artificially until early to mid-April, when it is likely to hatch. Assistant Condor Curator Shawn St. Michael said, "Once we see an external pip, we will immediately return the egg to Tama." The Jonsson center currently houses 17 condors. You can learn more about the zoo's role in the California Condor Recovery Program here. I and the Bird cinema! Don't delay -- buy your tickets to the I and the Bird cineplex today! Grab your favorite movie treat (mine is Junior Mints), find a seat, and sit back for a delightful showing of I and the Bird #43, with narration by Tai Haku. Want to share a recent post with birding enthusiasts? Send the URL to I and the Bird's next host, The Ridger, by March 6. I and the Bird's founder, Mike, has openings for carnival hosts in the next few weeks. Drop him a note if you want the fun challenge of creatively corralling myriad varied posts about birding. Have you read a good short story about birds, birders or birding lately? Better yet, have you written one? Consider participating in First Friday, a monthly contest that solicits 500-word pieces of fiction. The winner receives the choice of two recently published books from the WildBird office. The next deadline is Wednesday, Feb. 28. Did you already read about the robotic video cameras in the Ivory-billed Woodpecker search in Arkansas? Deep in the bayous of eastern Arkansas, two robotic video cameras keep vigil for an elusive bird, aiming to capture conclusive evidence the ivory-billed woodpecker is not, as long feared, extinct. Recent sightings have revived hope of the survival of the large and dramatically marked bird, with its characteristic white beak and red crest. Now the search is on for proof -- something scientists hope the robot video cameras can provide. The cameras are part of a new project funded by the National Science Foundation to create automated observatories that can capture natural behavior in remote settings. 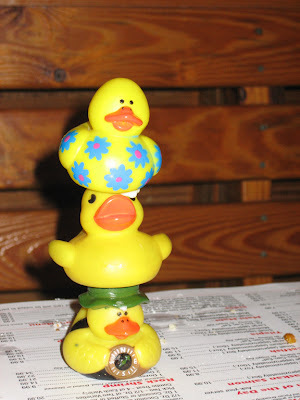 Anyone recognize the restaurant in which this masterpiece briefly made an appearance? Care to identify the substance keeping Daisy on Park's head? I and the Bird deadline: tomorrow! Want to share a tale or some ruminations or an essay about birds and birding to a large audience? 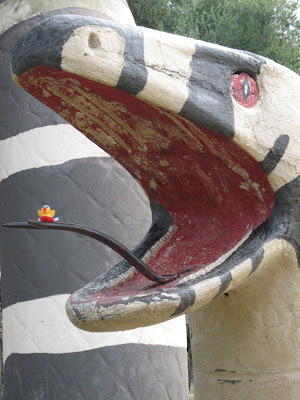 Contribute to I and the Bird #43 by sending an e-mail to Tai Haku today or tomorrow. The biweekly carnival will appear this Thursday, and I look forward to the feast! Here endeth the public service announcement for BirdChick. Do the taller buildings and skyscrapers near you turn off indoor lights at night? Audubon Minnesota -- along with the Minnesota Department of Natural Resources, the University of Minnesota and the Wildlife Rehabilitation Center of Minnesota -- will ask owners of high-rise buildings to go dark between midnight and dawn from March 15 to May 31 and Aug. 15 to Oct. 31. The goal: to reduce window collisions by birds migrating along the Mississippi flyway. The Lights Out Twin Cities program follows in the footsteps of Fatal Light Awareness Program in Toronto and similar efforts in New York, Detroit and Chicago. Did you know that an institute, based in Mississippi and Utah, works to bridge conflicts between humans and animals? I wasn't aware of the Jack H. Berryman Institute -- named after a 30-year U.S. Fish & Wildlife employee -- until this week, but it's been working with USDA Wildlife Services since 1993. Located at Utah State University in the wildland resources department and at Mississipi State University in the wildlife and fisheries department, it focuses on "improving human-wildlife relationships and resolving human-wildlife conflicts through teaching, research, and extension." 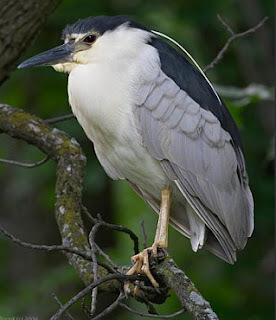 An example of a human-wildlife conflict: catfish farmers and Black-crowned Night-Herons. The center accepts grant proposals, provides outreach and continuing education programs, accepts graduate students whose work coincides with the center's research priorities. Know any college students who might benefit from the opportunity? Spread the word. Julia Ponder, DVM, recently became executive director of The Raptor Center at The University of Minnesota College of Veterinary Medicine in Minneapolis/St. Paul. If you're a BirdChick fan, then you're familiar with her volunteer work at The Raptor Center. 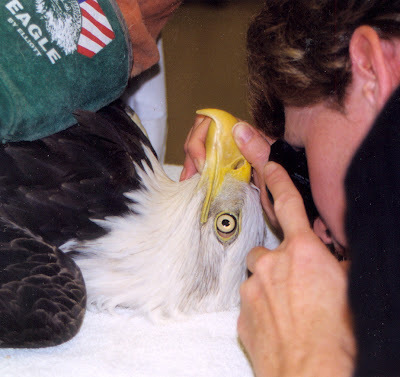 I'm rather jealous that Dr. Ponder gets to do things like look into a Bald Eagle's eye. How cool is that? This might be a comprehensive list of raptor rehabilitation programs. Do you know of or volunteer for one that isn't on the list? Then suggest an addition to the list. In case you're not a fan of raptors, that list appears within the larger context of wildlife rehab programs. Volunteer opportunities abound! Anas rubberi has been absent for too long. Let me remedy that omission. The bird flu expert for the United Nations recently said infected domestic birds -- not migratory wild birds -- most likely bear the blame for the spread of the H5N1 virus in Asia, Africa and Europe. Most people killed so far have been infected by domestic fowl and the virus remains very hard for humans to catch. Nabarro said about half the people infected die. This falls in line with the presentation given by research scientist Peter Marra of the Smithsonian Migratory Bird Center during Birdwatch America last month in Atlanta. A description of his talk starts on page 7 of the March/April issue. 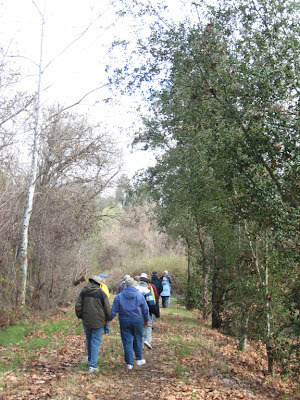 On the last day of the San Diego Bird Festival, I joined the Lake Hodges/winery field trip. We started our three-hour visit to San Dieguito River Park with dry skies, a Cooper's Hawk overhead, a calling Cassin's Kingbird across the street and a very cooperative California Towhee that posed on a rock for many minutes. 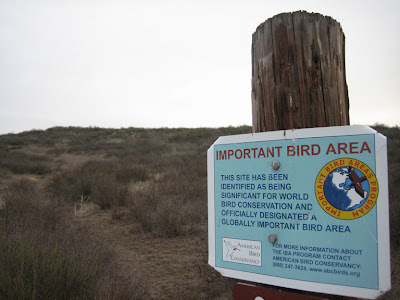 The trail took us by this sign for American Bird Conservancy 's Important Bird Area program before leading us to an area that yielded California Thrasher, Bewick's Wren and California Gnatcatcher. We heard the calling birds long before we spotted them. The trail toward the lake led us past Bushtits, Anna's Hummingbirds, White-crowned Sparrows, a female Phainopepla, American Kestrel and Spotted Towhee. The latter gave us good, long looks at his dapper plumage. The closer we got to the lake, the more overcast the sky became. As we enjoyed watching the Clark's and Western Grebes, the drizzle made a determined debut. That didn't stop us from noting the lake's avian decorations: Gadwall, Black Phoebe, Ruddy Duck and Double-crested Cormorant. At another point on the shore, we observed Tree Swallow, Yellow-rumped Warbler (flycatching amid reeds!) and Spotted Sandpiper. A Loggerhead Shrike appeared at the top of a tree, while a Rock Wren later bobbed atop various rocks. One last search by leader Doug Nail yielded good looks at a Burrowing Owl among another rocky area. 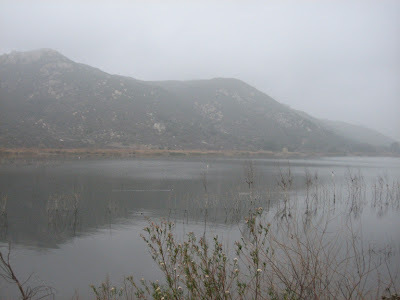 By then, the drizzle had turned into rain, but that didn't stop us from visiting another side of the lake. That visit provided California Quail, Mallard, Nuttall's Woodpecker, Red-winged Blackbird, Common Moorhen, Say's Phoebe and Wrentit. 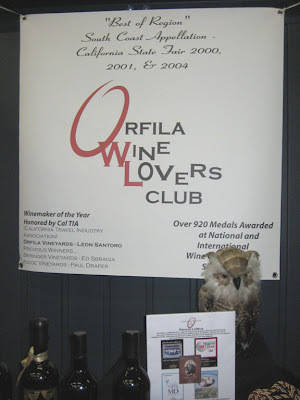 We stopped at Orfila Winery, where a dazzling Mountain Bluebird flitted among the vines. The rain prevented us from eating in the garden, as planned, but we sampled wines in the tasting room ($6 for six tastes -- not bad) and got a kick out of the stuffed owl, which resembles nothing recognizable. After eating lunch at Kit Carson Park and observing Western Bluebird, Ruby-crowned Kinglet, Chipping Sparrow and American Pipit, we began birding at Sand Lake with its Ring-necked Ducks. After walking around the sculpture garden and through the Arroyo del Oro area, we saw Acorn Woodpeckers in the palm trees, Red-shouldered Hawks directly overhead and Lesser Goldfinches. The rain and drizzle finally let up, giving us a blue-sky finish to a fun outing. In Oregon, criminals convicted of wildlife statutes often pay financial restitution as part of their sentences. Those payments now go into the state's Endangered Species Justice Fund, created by the Oregon Zoo in Portland, the U.S. Attorney's Office and the U.S. Fish & Wildlife Service. The money will work on behalf of endangered and threatened species, with the initial payments coming from the prosecution of a national conspiracy to sell ocelots illegally. The justice fund aims to decrease the harm caused by wildlife crimes prosecuted in the Beaver State, and grants will fund programs that protect and support at-risk wildlife along with programs that focus on illegal trafficking and sale of endangered and threatened species. Does a similar program exist in your state? 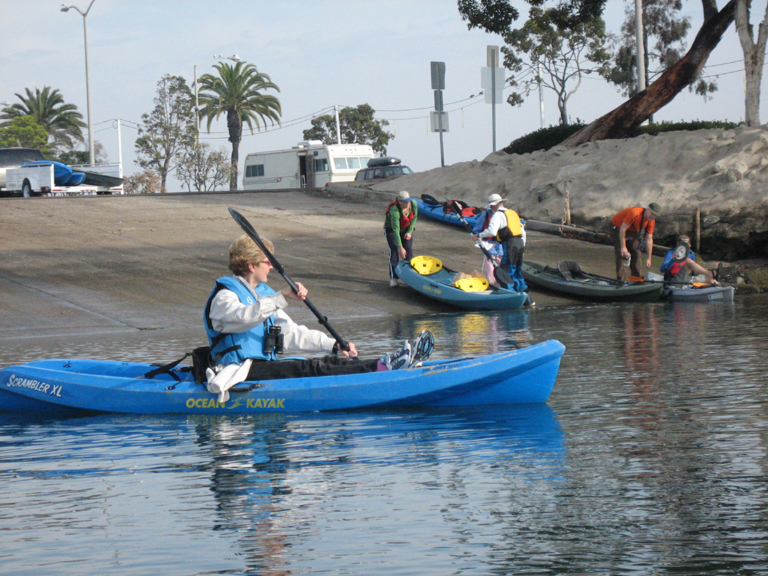 Saturday’s kayaking field trip for the San Diego Bird Festival started at the leisurely time of 8:30 a.m. Aaahhh. The jaunt to Pepper Park in National City went by quickly, and the 11 participants met Jim Peugh and Ted Godshalk in the park’s parking lot. After a lesson in paddling techniques and some pointers, we carried the kayaks to the bottom of the ramp, settled ourselves into the crafts and received a push into the water. Whee! Kayaking offers a really neat perspective for birding. 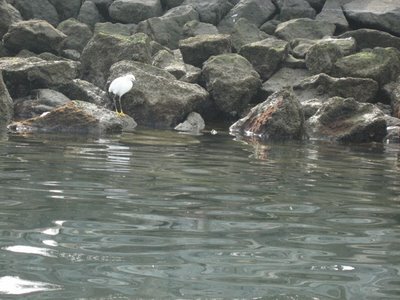 I enjoyed being closer to the birds, and it seemed like our presence on the water didn’t disconcert the birds overly much. We quickly encountered Snowy Egret, Osprey, Double-crested Cormorant, Surf Scoter and couple rather vocal Belted Kingfishers. A Green Heron looked beautiful on the rocks, and a mixed flock of Willets and Marbled Godwits almost camouflaged the lone Whimbrel in the background. A few Dunlin appeared amid other Willets, and another flock of WILL and MAGO dispersed and revealed a lone Long-billed Curlew on the mud. A Northern Harrier soared overhead, while American Wigeon and Cinnamon Teal later decorated the water. A Great Blue Heron lifted off with some cranky-sounding calls, and flocks of feeding Least and Western Sandpipers and Marbled Godwits continually appeared on the shore. 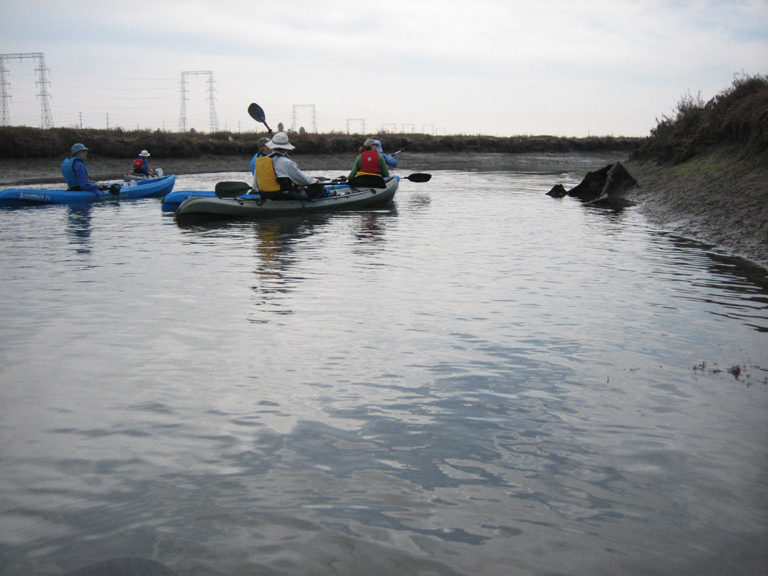 We hit some rough spots where the low tide made it really difficult to make progress, and I had to imitate an inchworm in my attempts to move the kayak over mud and eelgrass. Oh, and I *highly* recommend wearing rain pants; by design, water fills the bottom of the kayak, and your lower half will get wet and perhaps a little muddy. A wide-brimmed hat, sunglasses and sunscreen will add to your comfort. The final leg took us into the bay, where we saw Pied-billed Grebe, Brant, Bufflehead and Surf Scoter. A little breeze and some waves created more of a challenge and an invigorating finish to my first experience with birding by kayak. I definitely want to do it again! 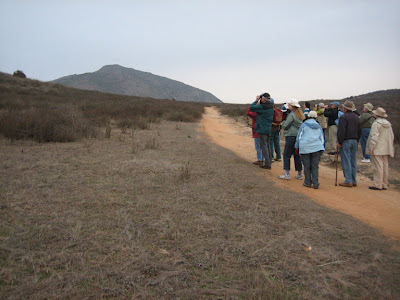 I joined the San Diego Bird Festival on Friday with the coastal refuges field trip. 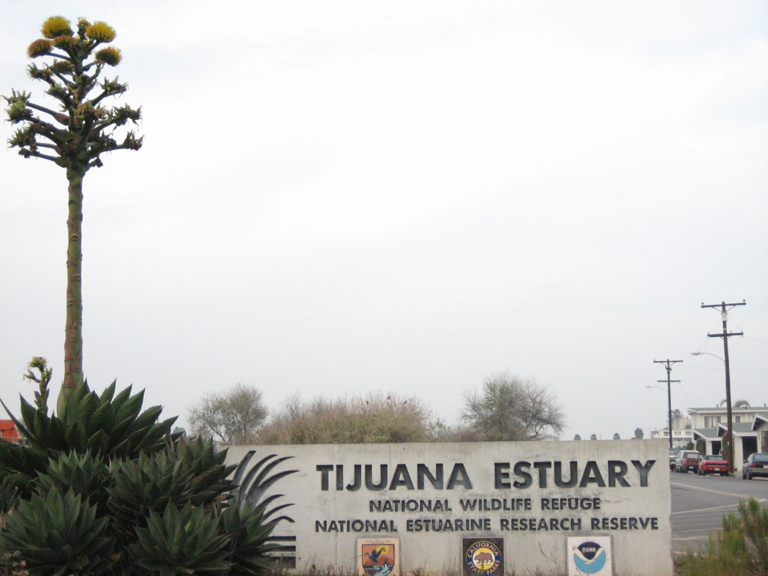 Led by Robert Patton and Kevin Karlson, we visited three spots -- Tijuana Estuary National Wildlife Refuge, South Bay Salt Works and Chula Vista Nature Center – and saw a lot of great birds. I’d never been to these sites but had heard of them, so it was cool to see what all the fuss is about. Before we walked into the estuary, we detoured into the neighborhood for a little urban birding. One tree seemed to be the preferred buffet, and I particularly enjoyed the Black-throated Gray Warbler. Many Anna’s Hummingbirds chittered and buzzed in an apartment complex’s parking lot, where we ooh-ed and aah-ed over the Yellow-crowned Night-Heron. In the trees along a park’s perimeter, I liked seeing Black-crowned Night-Heron, Dark-eyed Junco, Orange-crowned Warbler and Rufuous Hummingbird. We retraced our steps to the estuary, where a pair of Yellow-crowned Amazon parrots loudly announced their presence. where we saw Whimbrel, Cinnamon Teal and light-footed Clapper Rail. My first view of that endangered subspecies made me grin; what a fun-looking bird with that bright orange bill. 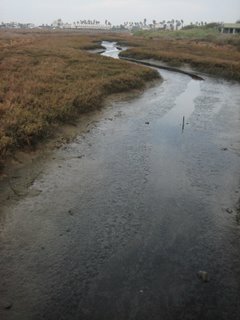 Seeing it at the estuary made the later visit to Chula Vista Nature Center all the more meaningful. I really enjoyed seeing raptors in the air – Prairie Falcon and Northern Harrier – and on the ground: Merlin. The latter sat on a log decorated with feathers, perhaps evidence of breakfast? At the end of the trail, we enjoyed a buffet of birds: Little Blue Heron, Bufflehead, American Avocet with those cool pale-blue legs, Least Sandpiper, American Wigeon, Marbled Godwit, Willet, Long-billed Curlew, Short-billed Dowitcher, Lesser Yellowlegs, Snowy Egret and Belding’s Savannah Sparrow (another endangered subspecies). If not for the other sites on the itinerary, I think that some of the group – Kevin included – would’ve enjoyed discussing the shorebirds at length. 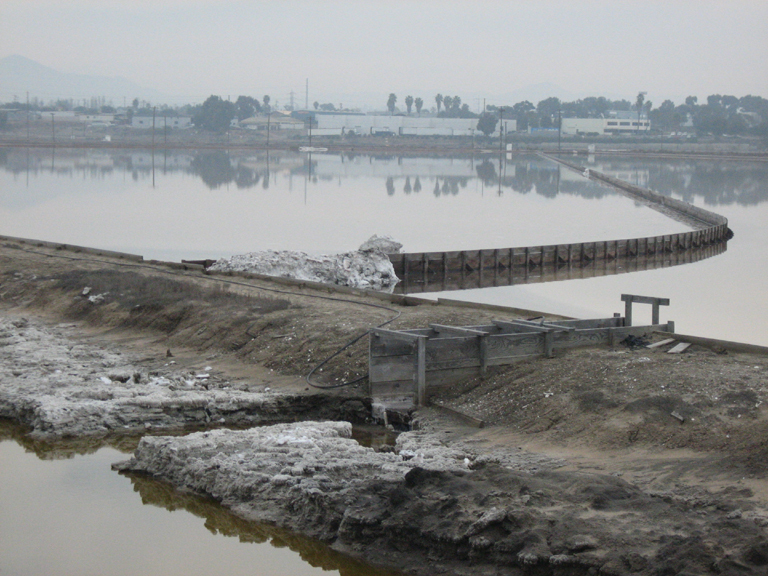 A jaunt took us South Bay Salt Works and into the capable hands of three U.S. Fish & Wildlife Service employees who drove us onto the restricted-access property. With its evaporation ponds and other bodies of water and its location next to South San Diego Bay NWR, the salt works attracts numerous species. Being a raptor aficionado, I particularly enjoyed American Kestrel, Osprey, Northern Harrier and White-tailed Kite. I also liked seeing Eared Grebes with their funky red eyes, Common Goldeneyes, Western Grebe, Ruddy Duck and Surf Scoter. One stop offered upclose views of Western Sandpipers – such charming little peeps – and Dunlins, giving us a chance to make a size comparison. Another spot gave us views of Brant and Eurasian Wigeon among other species. I really enjoyed the closer looks at Long-billed Curlews with those massive bills. The last spot yielded our first Brown Pelican, a Belted Kingfisher and two perched Peregrine Falcons. Sweet! At Chula Vista Nature Center within Sweetwater Marsh NWR, we listened to a presentation about the center’s Light-footed Clapper Rail Project, operated with Sea World, San Diego Wild Animal Park and U.S. Fish & Wildlife Service. 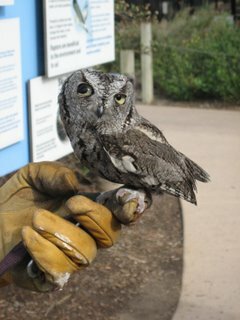 Details about the captive-breeding program and the endangered subspecies appear at www.clapperrail.com. The center houses only birds that were injured and rehabilitated but cannot survive in the wild, so we walked the grounds and peered at Burrowing Owls, Clapper Rails, Black Oystercatchers, egrets, Glossy Ibis, Hooded Merganser, Ruddy Ducks and a number of raptors. An employee brought out this Western Screech-Owl for our quick enjoyment. As three of us lingered, a Costa’s Hummingbird flew in to feed on nectar, giving us fantastic looks at his purple gorget. Then he perched on a cable and flashed us some more. He was riveting! American Bird Conservancy recently released a 48-page report, "Top 20 Most Threatened Bird Habitats in the United States." It identifies threats, lists species of high conservation concern in each habitat and offers solutions to restore lost habitat. Does one of the remaining 15 habitats occur around or near you? The U.S. Fish and Wildlife Service reached a court-approved agreement to determine the Bald Eagle’s status on the federal endangered and threatened species list no later than June 29, 2007. More details here. Don't delay in checking out the new edition of the birding carnival, hosted by Neurophilosopher. He's provided a delightful look at the journey of IatBeagle, complimented with Snap images of websites, entries from the second survey mission of the H.M.S. Beagle and plates from Charles Darwin’s The Zoology of the Voyage of the H.M.S. Beagle 1832-1836. Send your submissions for IatB #43 to Tai Haku (p DOT taihaku AT googlemail DOT com) before Feb. 20! In a few weeks, two Peregrine Falcons probably will start nesting again on the 12th-floor window ledge of a Cleveland skyscraper. Via a video camera, the Raptors in the City program gives us the chance to be online voyeurs of the once-endangered species. As part of the program, the Cleveland FalconCam provides minute-by-minute views of the nest site on the Terminal Tower on Huron Road. This photo shows the nest site's location. Raptors in the City offers a science and technology curriculum for ages 7 to 11. Check it out, and help the next generation learn about birds of prey! 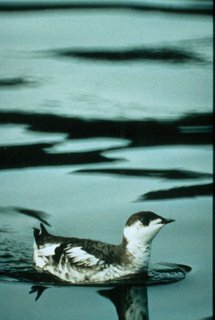 A recent U.S. Geological Survey review of Marbled Murrelets found a 70 percent decrease in the number of birds in Alaska and Canada. The unusual sea bird nests up to 50 miles inland on the branch of an old-growth fir or hemlock. USGS sea bird biologist John F. Piatt, lead author of the review, said none of the known human-caused threats to marbled murrelets — loss of nesting trees to logging, getting caught in gillnets, and oil spills — can by themselves explain the dramatic and widespread decline, particularly in Alaska. "Nobody was really expecting that kind of change," Piatt said from Port Townsend, Washington. "Natural influences may be more important than human-caused," changes. Even areas like Alaska's Glacier Bay, where there has been no logging, saw dramatic declines, raising the likelihood that something larger was a major factor, he said. The Whooping Crane Eastern Partnership (WCEP) has announced that one of the juvenile cranes presumed lost in the massive storms that hit central Florida last week has been found. Seventeen juvenile whooping cranes died as a result of the storms that swept through central Florida during the evening and early morning of Feb. 1 and 2. Project biologists with the International Crane Foundation picked up the radio signal of crane 15-06 on Saturday afternoon near the pensite at the Chassahowitzka National Wildlife Refuge where the other birds perished in the storm. They lost the signal briefly before picking it up again on Sunday, tracking the young bird to an area in Citrus County, some miles away from the pensite. The juvenile crane was observed from the air in good remote habitat with two sandhill cranes. Number 15-06 is in the same area with three whooping cranes from the Class of 2005. WildBird proudly offers a Canon EOS 30D digital camera as the grand prize this year. To become eligible for it and one of the other prizes shown on page 41 of the March/April issue, follow these rules very carefully. A panel of judges will choose three winners from each of the five categories -- amateur, backyard, digiscoping, flight, water birds -- plus one grand-prize winner. The entry form appears on page 39 of the March/April issue. The form will not appear online. If you don't receive WildBird in your mailbox, then ask for the March/April issue at a local Wild Birds Unlimited or Wild Bird Centers of America or a national bookseller. * All entries must be postmarked by April 28, 2007. * This photo contest is open to everyone except employees of WildBird and BowTie, Inc.
* Each contestant may enter up to two photographs per category. * Each participant confirms that each entry has not been published in another commercial publication for payment or offered online for sale. Similar in-camera duplicate photos are not eligible. * Each contestant agrees to allow WildBird to post one entry on the magazine's website, without compensation, to promote the contest. 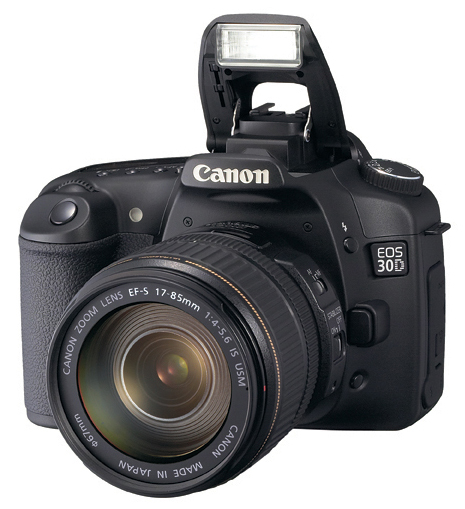 * One grand-prize photo will be selected from all the contest entries. * Color 35mm slides, 21Ú4-inch transparencies, prints at least 6x8 inches but no larger than 8x10 inches, and digital files will be accepted. Do not send duplicate or glass-mounted slides. * Digital files must arrive on compact discs, one image per CD. * In order to be suitable for publication in WildBird, digital files must be 300 dpi; at least 6x8 inches in size; TIFF, EPS or SHQ JPG format; RGB; and 8 bit. A high-quality 6x8-inch print must accompany each CD. * Due to the constraints imposed by early digital cameras used in digiscoping, only entries in the digiscoping category may possess a print size of 5x7 inches and arrive with a 5x7-inch high-quality print. * Only photos of native species photographed in the United States and Canada are eligible for the amateur, digiscoping, flight, water birds and backyard categories. * To write the captions, we need the story behind the photo. Give us interesting details about how you attracted the bird to your yard or how you observed the bird in the field. * The amateur category is open to individuals who have not won a prize in a previous WildBird photo contest and have not received payment from WildBird for the publication of an image. * All backyard photographs must be taken in a yard; show a feeder, birdbath or nestbox; and include species regularly seen at those features. Photos taken at wildlife refuges, parks, sanctuaries and commercial lodges are not eligible. * All digiscoping entries must cite the spotting scope and eyepiece used to create the image. * All flight photos must convey the essence of avian flight. Motion and focus will be primary considerations. 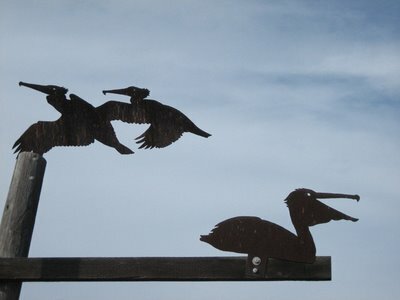 * Entries for the water birds category should feature only shorebirds, wading birds, waterfowl and seabirds. * All birds photographed for this contest must be alive and living in the wild. Controlled studio portraits, photos of captive birds and "posed" birds -- especially nestlings -- will not be accepted. * Each entry must be submitted separately -- one entry per envelope. * Write the entry's category on the front, lower-left area of the envelope. * Every image must arrive with a separate, completed entry form. Photocopies of the form are acceptable. * Do not use staples or paper clips; they can scratch your photos. WildBird is not responsible for lost or damaged slides. * If you want your slides and transparencies returned, each entry must arrive with a self-addressed, stamped envelope. Provide ample postage in addition to a return address on each envelope. Prints and CDs will not be returned. * Due to the volume of submissions, the staff will not make exceptions to these rules. Please follow them carefully to avoid disqualification. * Winners will be selected by a panel of judges and the WildBird staff. * Winners will be notified by mail; do not call or send an e-mail. * Winning images will be published in the September/October 2007 issue and may be used in advertising and marketing of WildBird without compensation. * All slides and transparencies will be returned in October. No prints or CDs will be returned. How quick are we to blame climate change? Is this a tell-tale sign of climate change linked to greenhouse gas emissions, with the cardinal moving north in response to a warming planet? Or are other factors at play, such as the proliferation of bird feeders in urban yards, which may be enticing species away from their historic ranges? Such debates are bound to heat up with a draft U.N. report on climate change set for release in Paris on Friday. The northern cardinal's move into Nova Scotia and a northward thrust by the turkey vulture into southern Maine and Nova Scotia from Massachusetts are some of the shifts which can clearly be seen by looking at maps from the two editions. The movements are there over short periods of time, suggesting that human induced changes in the environment are the cause. And they are not dramatic, which could point to gradual shifts from rising temperatures. But the explanation, at least in the cardinal's case, may simply lie in the bird feeders found in Hale's garden and those of her neighbors. What do you think about the article?